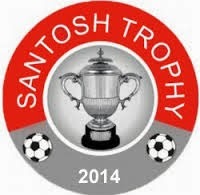 Mizoram has clinched its Maiden Santosh Trophy defeating Railways by 3-0 in Siliguri in the summit clash on Sunday. It was an attacking show by Mizoram right from the start of the game. The team was able to break the deadlock in the 44th minute of the game to go into the lemon break with a lead of a solitary goal. Zico Zoremsanga scored on either side of half-time and a second half injury time strike from F Lalrinpuia helped the north eastern state to romp home in style. The lead was doubled in the second half of the game, while, the third goal came in the extra time. It was Mizoram's first final appearance ,while Railways was trying to break the jinx of 48 years. Railways has last won the trophy in 1966.